If your loved one died from mesothelioma without pursuing a personal injury case, you may be able to file a mesothelioma wrongful death claim. However, filing this kind of claim can be overwhelming. Here are a few important things to know before making a decision about whether or not to take legal action against those who exposed your loved one to asbestos. You must have legal standing to file a claim. 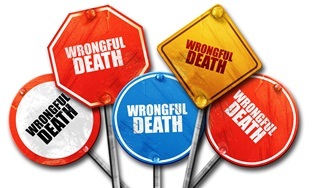 Each state has specific rules about who has standing to file a wrongful death lawsuit. Generally, the administrator of the estate or a close relative such as a spouse, parent, or child may have standing to file a wrongful death case. In some states, other relatives may also have standing. You need a claim against a manufacturer of products made with asbestos. Mesothelioma is almost always caused by asbestos exposure. The wrongful death case that you file will likely be against the company who manufactured products made from asbestos or the company you worked for who required that you use these products. The statute of limitations to pursue a wrongful death case. Each state has a statute of limitations that governs the amount of time you have to pursue a wrongful death claim. If you fail to take action before the statute of limitation expires, your case will likely be dismissed, and you will not recover damages. This can be prevented by taking action quickly. The damages you recover may be significant. The compensation in a wrongful death lawsuit may provide financial support for medical expenses, lost income, and pain and suffering. You won’t pay any legal fees until your case is resolved. Our law firm works on a contingency fee basis. If we take your case, we will not be paid until your case settles or is resolved in court. At that time, our fee will be a previously agreed upon percentage of your recovery. We understand that you have an important decision to make and need critical information to make the choice that is right for you and your family. Please contact us online or call our office directly at 318.541.8188 for a free, no-obligation consultation. We can discuss your rights, how a mesothelioma wrongful death case works, and what your potential recovery may be if you decide to file a claim.